Transponder keys, also known as chipped keys, are for most American and foreign vehicles that have been manufactured from 1986 to the present. Our team has been working on these keys for a long time and can help you perform any locksmith-related services you require with them. Remotes started to become much more popular over the last couple of years. With just a push of a button, you are able to open doors, trunks, and even start your car with these handy devices. Our locksmith has most remotes in stock, so you can get a replacement easily when needed. If we don’t have it, then we can usually get it in for you in just a few days. Another popular key found for most newer vehicles is the combination remote-headed key. While they have a lot of functionality that makes them very popular, they are also very expensive to replace when lost. We encourage you to come to our locksmith shop and pick up a spare today so you don’t have to take a hit to the wallet if you ever end up losing your key. As technology continues to advance, so do our keys. Car keys, in particular, have come a long way from the classic design you might have been used to when you were growing up. So with these advanced transponder key and remotes in San Diego, CA, who do you turn to when you are in need of some good, old-fashioned locksmith services? The answer is the professionals at Convoy Street Locksmith Shop. We have kept up with the times. 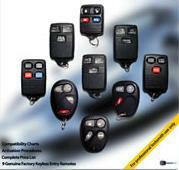 This enables us to work with transponder keys, remotes, and combination key remotes. So when you are dealing with a situation with your advanced keys where you need a locksmith; we will be there to provide you with all of the different services you require, including re-keying services. 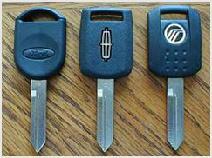 Contact us for more information about the different locksmith services we provide for transponder keys and remotes. Our staff looks forward to assisting clients located throughout the San Diego, California, area.